There are some moments during this parenting adventure that just make me stop and go ‘Wow, I’m a mother’. It could be when they say Mama, or when they spontaneously give you a kiss, or even when they run to meet you at the door after work. All of these make me feel like a million pounds but by far the biggest thing for me is when she reaches for my hand. 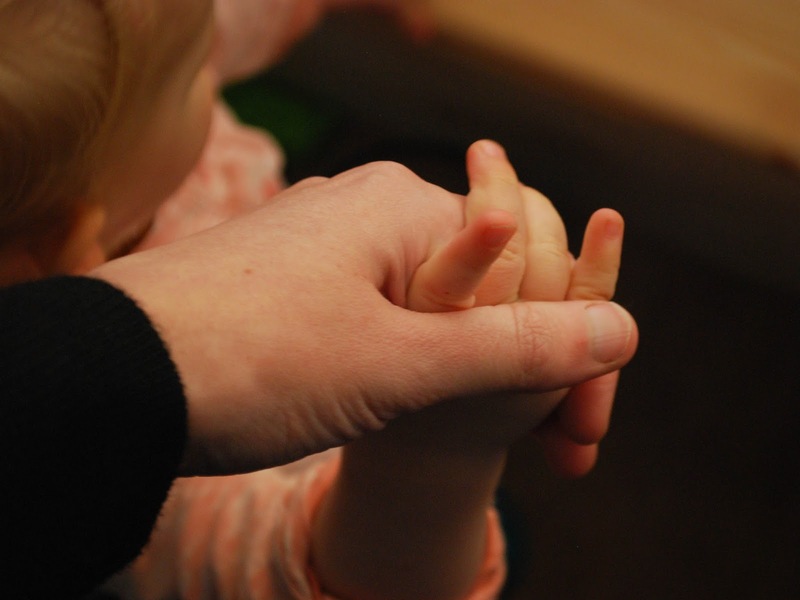 I don’t think I’ll ever tire of seeing her little fingers outstretched trying to reach mine or feeling her warm little hand completely enclosed in my own. For me it’s one of those wow moments every time. Lyra reaches for my hand for so many different reasons and each one speaks volumes about the absolute privilege it is to be her Mama. She reaches for me when we’re out walking and about to pass a group of people that she’s unsure of. That says to me that I’m her safe place, her protector. She reaches for me when she wants to show me something she’s found and that tells me she sees me as a friend, someone to share her excitement with. Sometimes she reaches for my hand when we’re cuddled up and she’s drifting off to sleep. That lets me know that I’m comfort for her, a reassurance that everything is OK. I know that in time her hands will grow and they’ll no longer fit so completely within my own. 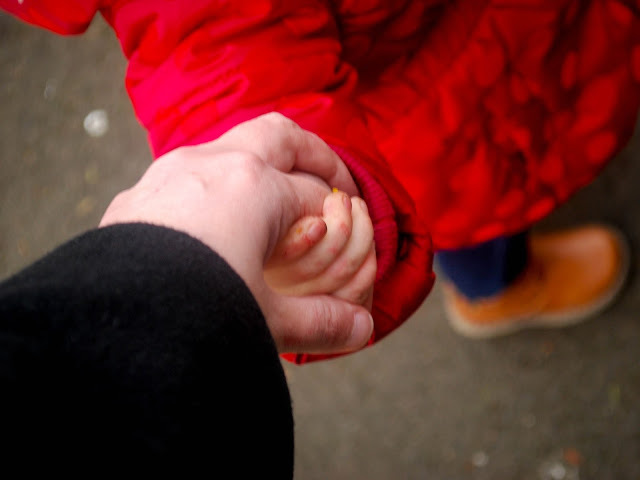 I know that she will become too busy, too ‘grown up’ to hold my hand so for now I’m soaking up every single second of this beautiful, wonderful hand holding.